The post 3 Reasons for Manufacturers to Sell Online appeared first on Cin7. Alan Giffard is the co-founder and owner of G2 Accounting, based in Victoria. 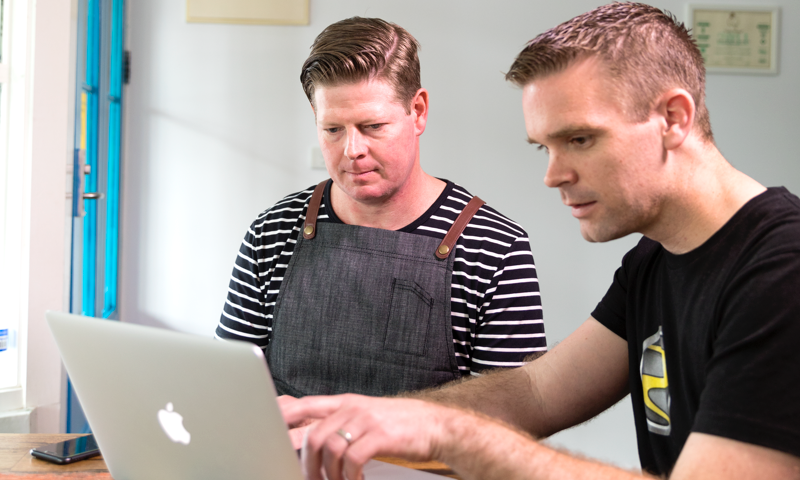 Recently G2 helped award-winning regional bakery, Kyneton Bakehouse, make the switch to Xero. Here he shares the onboarding process. Q: How did the Kyneton Bakehouse react to the idea of switching? A: When I suggested to Brendan and Coreena that they should switch to Xero, they were open to the idea, but still a little cautious. They had 10 years experience using Banklink so change wasn’t a top priority. But they knew Xero could help with faster coding and more efficient backend operations, and I knew how much time they’d save behind the scenes if they took the leap. We made the call to start them on Xero from the start of the current financial year with effectively a clean slate, and add in the gures from 1 July to get everything up to date. Then we made sure they were comfortable doing reports in Xero, so they could review how they were going in real time. Q: How do you manage client expectations when changing to a new platform and making process changes during this time? A: We’ve found it useful to acknowledge that there are things that Xero does differently to a previous system. Clients who’ve been using the same software for a long period of time generally find shortcuts and workarounds, so adopting new software can feel like a backward step at first. Being realistic about what to expect can build credibility that really helps during the process. Q: How do you manage any client objections to undertaking such a change? A: We used to be concerned about client objections, but it’s not a big focus for us any more. New clients tend to come to us because they’re unhappy with the service they’ve received from their previous accountant. We present Xero, as well as our expertise, as the solution. But even for existing clients, we don’t encounter many objections. It can be easy to forget that we’re the trusted advisor in this space, and if we recommend software that can make our clients’ lives easier, most clients will trust that recommendation and go with it. Q: When moving a new client to Xero, where do you start and what’s important to get right the first time? A: We recommend focusing on three core functionalities in the initial stages. Once bank feeds are up and running, work on reconciliations. Most of our clients get comfortable with reconciling really quickly, which eliminates extra work for us down the track. If the client pays wages, focus on payroll. We get positive feedback about the ease of Xero payroll, so jumping right in gets the client off to a great start. Get the conversion balances spot on. This is so much easier at the time of conversion than trying to do it later, but importantly, it means the client can rely on the accuracy, and start making the most of their reports. Q: How can you deliver instant value to the client to ensure they’re happy with the decision to change? A: Those first few meetings with the client after they’ve adopted Xero are the most important ones, particularly when we’ve really driven the move. When we meet with a client to do their BAS, for example, it’s important to be ready for that meeting, have minimal work to do to actually complete the BAS, and then spend most of that meeting reviewing their figures rather than discussing the activity statement. That’s a big part of what we sell to the client as the benefit of adopting cloud software, and it’s important to make sure we realise those benefits early on. Let the clients do the talking. Alan’s story is taken from the new issue of Partner Pages – a magazine of beautifully curated content, written by partners, for partners. Get your free copy at the Roadshow Australia 2018. The post Onboarding: helping clients transition their tech appeared first on Xero Blog. We’re only a month into 2018 and already we’ve seen some major information security challenges with the disclosure of the Meltdown and Spectre microprocessor vulnerabilities. This highlights once again the importance of keeping our systems up to date to keep them as secure as possible. To maintain the security of Xero, we’ll be ceasing support for older web browsers using TLS 1.0 from 31 March 2018. The post TLS updates – what you need to know about your security appeared first on Xero Blog. Consumers spent $360.3 billion online in 2016 and this figure is projected to rise to more than $603.4 billion by 2021. The growing popularity of e-commerce is evident, but this doesn’t mean that consumers are no longer interested in brick and mortar stores. Running both a physical and online store can be costly, especially for small to medium-sized retailers. If you have an e-commerce store, it’s also possible to have an offline presence without the commitment of operating a permanent physical store. More and more brands – from established retail giants to e-commerce companies – are using pop-up shops as a tool to build stronger relationships with their customers and expand their brand. Pop-up stores (also referred to as temporary retail stores) are an effective way to supplement your e-commerce business. It’s predicted that pop-up stores are the future of retail. CBRE, a global commercial real estate firm, estimates that temporary stores will exceed $50 billion for the leasing industry. Pop-up stores appeal to consumers because shoppers are already used to buying items from temporary retail locations. This is because pop-up stores have been around for as long as most of us can remember, starting from the days when children had their lemonade stands. What are the benefits of a Pop-Up Shop? Done correctly, pop-up stores can increase your sales. An example of the power of the pop-up store supplementing e-commerce revenue is the furniture designer who increased sales by 50% when he opened a temporary retail store for a month in New York. Most shoppers are aware that pop-up stores won’t be around for a long time, so they’re more likely to make a purchase because of the fear of missing out. Let consumers know that there are some items in your pop-up store that aren’t available anywhere else and when they’re gone, they’re gone. The start and end trading date of your pop-up store must be prominently advertised and displayed to remind people of the limited time and inventory. Pop-up stores are ideal for those consumers who still prefer to try a physical item before making a payment. Most e-commerce platforms have return policies, but some customers may not want to deal with the perceived inconvenience of returning unsuitable items. The consumer can try on and handle products before they buy in a pop-up store. Just because customers aren’t ready to buy from your pop-up store straight away, doesn’t mean that you’ve lost the sale. Services like Buy Online for Shopify POS allow your customer to try in-store and buy the item online at a later date. Building a brand online takes time and can carry significant costs. Online advertising and search engine optimization can be ongoing expenses. This is where adding in-person interaction to supplement your e-commerce brand-building efforts comes into its own. The famous saying by Maya Angelou about “people will forget what you said, what you did, but people will never forget how you made them feel” applies to a pop-up store. You can only convey a limited amount of emotion online, but meeting your customers face-to-face adds another dimension to your business. Consumers are into experiences more than ever. Use your pop-up store to show your customers the heart, emotion and the enthusiasm behind your business. To capitalize on your pop-up store’s brand equity, make sure you encourage visitors to share their experiences via social media. People want to share places that are cool and unique, so remember to add social media shareability aspects into the design phase of your pop-up store. 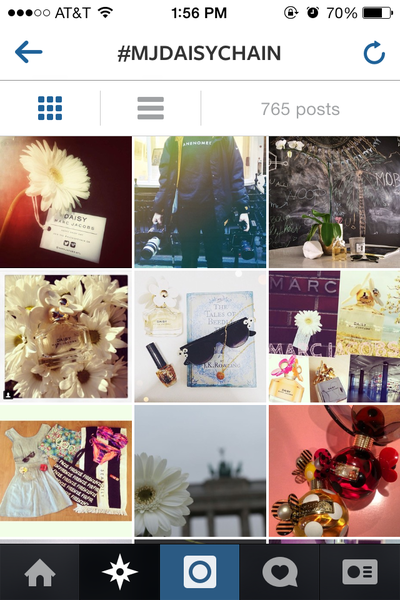 Marc Jacobs designed an experienced-based pop-up store to promote his new fragrance. Instead of buying items for cash, visitors were rewarded with products for sharing the specific hashtag via social media. Launching a new product or income stream can be risky. Hiring a market research firm who will do a thorough job is normally reserved for big retailers with deep pockets. Pop-up stores are a cost-effective way to test new offerings before you move full steam ahead in your e-commerce store. It’s reported that a temporary store costs about 80% less than a traditional retail store. A pop-up store may prove to be a cost-effective way to find out first-hand how consumers will react to the new products you’re considering rolling-out in your e-commerce store. The feedback received in pop-up stores is instant. You’ll have an idea of what customers like and dislike there and then. You’re able to discover valuable opinions by having a simple conversation. In contrast, it can be more challenging to get e-commerce shoppers to spare the time to complete online surveys. Pop-up stores are also useful for people who are thinking of starting an e-commerce business but aren’t quite sure about what to sell. A temporary store will provide the new business owner with valuable insight as to whether they should continue with the products they had in mind, make tweaks or discard the idea altogether. Pop-up stores aren’t only useful for supplementing e-commerce businesses that sell common items. They’re also an excellent way to demonstrate more complicated products to customers. Even if your product isn’t new on the market, customers are still interested in experiencing the product in a live environment. If you sell a complex product online, use a pop-up store to walk your potential customers through its use. You can advertise your pop-up shop as somewhere that is staffed by experts in your particular field. Your employees should be on hand to answer every possible question, especially if the product you’re selling is technical in nature. Providing a temporary retail space to test technical products isn’t a new concept, as Microsoft adopted this strategy over five years ago to assist customers in understanding and using their tablets. A pop-up store has the potential to be a viable supplement to your e e-commerce business if planned and executed properly. Given the financial, time and resource investment of setting-up and maintaining a temporary retail store, it’s advisable to promote your pop-up store through as many channels as possible. A temporary retail store can result in positive and permanent benefits for your e-commerce store, namely, better brand awareness and more sales. Although it’s temporary in nature, the impact of a pop-up can be permanent. Looking to Pop-Up? Deputy has you covered with our online HR and employee management system for easy employee scheduling, time, attendance, and communication. The post 4 ways a pop-up store can supplement your e-commerce business appeared first on Deputy. Consumers spent $360.3 billion online in 2016 and this figure is projected to rise to more than $603.4 billion by 2021. The growing popularity of e-commerce is evident, but this doesn’t mean that consumers are no longer interested in brick and mortar stores. Running both a physical and online store can be costly, especially for small to medium-sized retailers. If you have an e-commerce store, it’s also possible to have an offline presence without the commitment of operating a permanent physical store. Pop-up stores (also referred to as temporary retail stores) are an effective way to supplement your e-commerce business. It’s predicted that pop-up stores are the future of retail. CBRE, a global commercial real estate firm, estimates that temporary stores will exceed $50 billion for the leasing industry. Pop-up stores appeal to consumers because shoppers are already used to buying items from temporary retail locations. This is because pop-up stores have been around for as long as most of us can remember, starting from the days where children set-up their lemonade stands. Most shoppers are aware that pop-up stores won’t be around for a long time, so they’re more likely to make a purchase because of the fear of missing out. Let consumers know that there are some items in your pop-up store that aren’t available anywhere else and, when they’re gone, they’re gone. The start and end trading date of your pop-up store must be prominently advertised and displayed to remind people of the limited time and inventory. Pop-up stores are also useful for people who are thinking of starting an e-commerce business, but aren’t quite sure about what to sell. A temporary store will provide the new business owner with valuable insight as to whether they should continue with the products they had in mind, make tweaks or discard the idea altogether. The tech industry is facing a serious challenge in not only finding people to fill technical roles but also people who are creative, t-shaped thinkers to fill these roles. T-shaped people are ambidextrous thinkers. Typically, they are highly skilled in a specialist area but they also have a bit of knowledge or expertise in many areas. And that’s what we want. There are many misconceptions around the role of software developers, particularly that the only skill required of them is to be highly skilled at coding and therefore it doesn’t really matter if they are highly introverted because they work alone. However, modern software development is actually a highly collaborative role so we also value people who are not only going to be able to talk to a colleague, partner, or customer but enjoy it, understand the wider business context and be encouraging and motivating towards their peers. 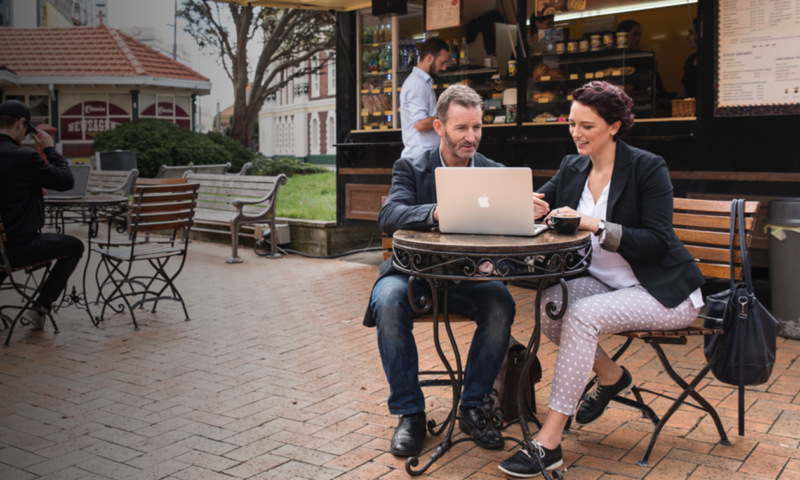 At Xero, we want people with all levels of social skill and interests, working together to get the best result. There’s almost a tendency in the industry to accept i-shaped thinkers (highly skilled in one particular area) with the assumption that that’s how you get good engineering work done. Whereas actually really good engineering work is achieved when you have a team with a combination of t-shaped thinkers with different kinds of expertise. It’s when all team members value the fact that they have different approaches and perspectives, giving diversity of thought, that the magic truly happens. Unfortunately, there is a trend where men and women who are these t-shaped thinkers can feel isolated rather than valued for their differences and move away from these hands-on technical roles. I’ve actually seen this firsthand where a young woman said to me “the other guys seem like they’ve gotten so far ahead, they always seem to know about things and I don’t know about them”. What she didn’t realise in that scenario was that she was in a team with young men who were effectively competing with one another as to who was the most knowledgeable. They were spending every hour of every day trying to keep up with all sorts of different kinds of technology in an effort to outshine each other and she wasn’t necessarily motivated to do that. From a straight up output perspective and role in a team – you don’t need a whole team of marvelous technologists to create a productive team of people creating a software product. So that feeling of falling behind is actually really counter productive for the industry as a whole, because what ends up happening is people who could be happy and productive doing hands-on technical work are shying away from it because they feel like they have to behave in a certain way in order to do that kind of work. From a Xero perspective these skills are becoming more and more in demand. Recently I had two senior technical leaders approach me for some help to find a front-end developer. Interestingly, being highly technically skilled was not the primary requirement, rather they felt that more important was finding someone who could inspire, motivate, establish a team culture, and be an ambassador for that culture inside and outside the organisation. I thought it was fairly significant that they’d looked around their team and thought “we’ve got all these people doing hands on technical work but we’d actually like is someone who does hands on technical work but can also play a much bigger broader role in the team”. It is clear that the industry desires more of these t-shaped thinkers to enrich teams and ultimately products. However, in order to encourage and empower them into technical roles we need to be proactive and create change through hiring decisions, flexible work arrangements and placing more value on positive impacts on the team outside raw technical output as an individual contributor. Firstly hiring decisions need to be determined around the bigger picture and what comprises a high-performing team. Instead of just looking for someone with a specific skill set, it is critical to consider how this person can help motivate, inspire, support, and enable the team in every possible way. Additionally creating flexible working arrangements to accommodate a wider spectrum of people is essential in cultivating a t-shaped thinking group of people. Instead of subscribing to narrow traditional office hours and working weeks, we can offer flexible arrangements such as sabbaticals, working from home, and working part-time. This opens the field up to people with diverse interests and lifestyles. T-shaped thinkers often have broad interests such as side businesses, voluntary work, or involvement in events across the industry and society. Being able to support them and ensure they can continue to be involved in these is important in maintaining the diversity of thought that they bring to a growing, innovative organisation. The software industry isn’t going transform itself, we all have a responsibility to change the playing field and enable the massive growth that we know is just around the corner! The post Why we need more T-Shaped thinkers in Tech appeared first on Xero Blog. Can Experiential Retail Revivify the Mall? The post Can Experiential Retail Revivify the Mall? appeared first on Cin7. Deputy equips business owners and managers with the tools they need to better manage their employees and grow their business. Unsure if Deputy is right for you? Get a free 30 day trial of Deputy now to see how much our software can benefit your business. The post Want to be a good retail manager? These 15 tips will help appeared first on Deputy. The appropriate use of technology is one way that you can save time as a retail manager. In addition, you’ll require top-notch organizational and planning skills to make effective use of all the hours of the day. The pace of retail can be very fast, so the ability to organize time to fit everything in and to handle the unexpected is crucial. 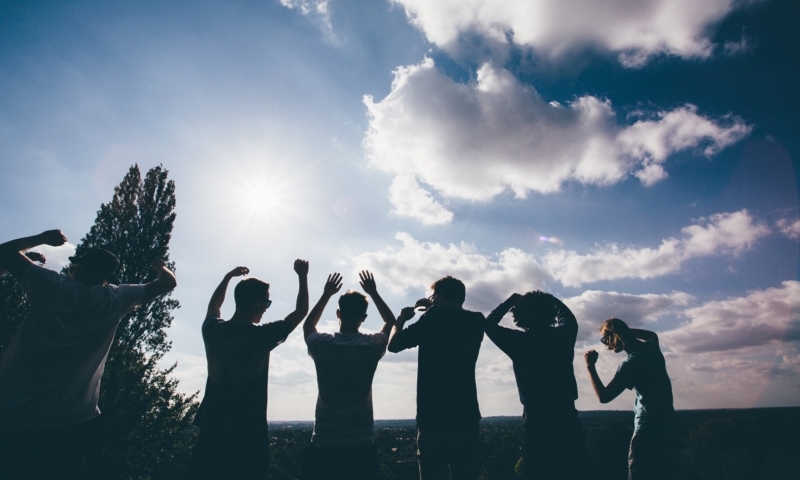 Your team members are more than employees. They have a life outside of work, therefore, make them feel valued as people, by showing interest. Simple questions around their weekend can spark up conversation and show your team that you care about them as individuals. Pressure in retail doesn’t only come from dealing with customers. Internal team issues can also cause anxiety. What happens when most of your team have called-out? How do you deal with replacing employees at short notice, especially if your store falls within a predictive scheduling jurisdiction?